Austria won the highest place on the list according to residence permit program. Austria permit residency program offers citizenship by investment program and skilled program, and by obtaining Austria permit residency you will be able to travel to all Schengen areas without issuing a visa. In the second place in Belgium, where it is enough securing a job in the country in order to be qualified for residency! What this means is that getting accommodation for investment in Belgium is not mandatory! In addition, it is common in Belgium that the process of issuing a residence visa does not take more than two weeks! Getting a residency in Portugal is going to cost you! However, it offers multiple privileges to residents on its territory. The Portugal permit residency requires you to invest in a real estate. It can be a new property or an old property for the purpose of restoration, and one of the most important advantages you will receive when purchasing a property and obtaining residence is the possibility of applying for Portuguese citizenship, you will also be enjoying your free education in Portugal, also, You and your family can access more than 163 destinations around the world without the need to issue a visa. To know more about the Portugal permit residency and the cost of purchasing a real estate there, you can do that by reading more about the Portugal Golden Visa program. Malta has a geographical location within the continent of Europe closer to the Maghreb region! Which gives it a fascinating and varied nature, to be a major tourist destination among the rest of the world, This is considered to be an incentive to think about obtaining residency in Malta and enjoying the privileges that’s including freedom of travel between the Schengen countries and the entry of more than 161 countries around the world. As well as the spouse, children, and parents can obtain Malta Permanent residency. Despite the difficulty of reaching information about Spain, the fact of getting a residency in Spain is not! It is one of the main 10 countries that you can easily obtain its residency when you follow certain procedures that include the Spain golden Visa through real estate investment. As a country of the famous soccer teams “the Clasico” and one of the important tourist destination, and when you get the golden visa you will have many privileges as you can start your own business in anywhere in Spain and you can include your spouse and children below 18 years old and travel freely to all the Schengen countries and enter 163 destinations around the world. And again, the basis of getting a residence permit easily in Latvia is by investing, it may be suitable for you to invest in and to obtain the residency due to the strong growth of its economy in the recent years, Latvia has developed its own transit service with other countries. The residency in Monaco is worth getting through bank deposit investment and may be one of the countries that enjoy security and when you get it you will move freely between the Schengen countries. Monaco does not require you to pay income tax, capital tax or Wealth tax! Are you thinking of getting is Golden Visa? Although it is among the last places of the easiest countries to obtain residency list, you can obtain Cyprus permit residency so easily. It is really worth investing in Cyprus and get its residency and enjoying the advantages of living in a country that grows economically, and enjoys a geographic location in the middle of Europe, Asia, and Africa, in addition to its moderate climate throughout the year. The easy process of obtaining the residency will also entitle you to apply for citizenship, and enjoying all the privileges that residents have. There is no requirement to stay in Cyprus and The ease of travel between the Schengen countries and access to more than 155 destinations around the world without a visa. 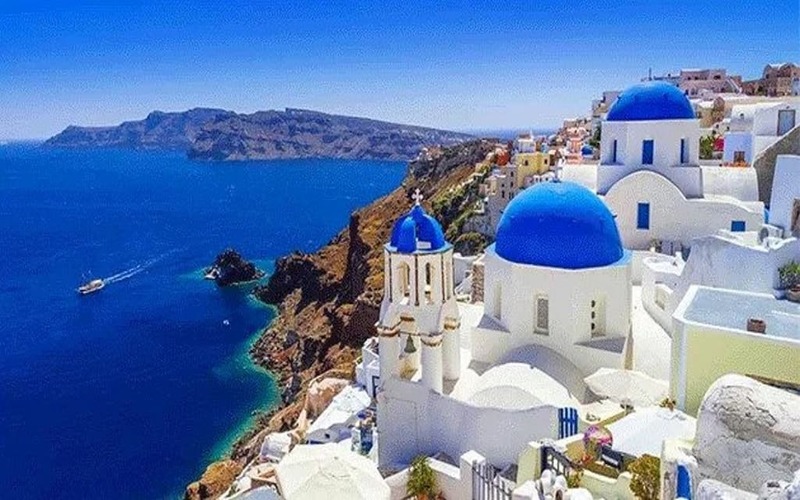 It is one of the most beautiful countries where you may get a Greece Golden Visa through real estate investment option at the lowest cost among all countries in Europe! The nature and stunning architecture of Greece will prompt you to choose your property in one of Greece’s most beautiful islands. If you need to enjoy your stay in Greece and get your residency privileges from the return on investment, get social benefits in health and education, as well as freedom of movement among the Schengen countries. To be eligible for obtaining the Bulgarian residency you need to deposit an amount of money that is specified by the government bond portfolio for 5 years, afterward you can apply for the Bulgarian residency. Now that you have read the list of the best EU countries that performed the best overall and have the easiest programs to obtain their residency, have you been able to choose the country you want to move to and enjoy the privileges that you will gain from it?